Customized Dialog: Here we have used Customized Dialog for User Login. 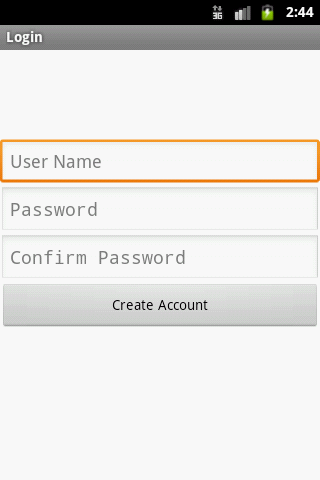 Creating DataBase: Here we have created database for Storing UserName and Password. Writing functions for Inserting, Deleting, Updating and querying a Datbase. 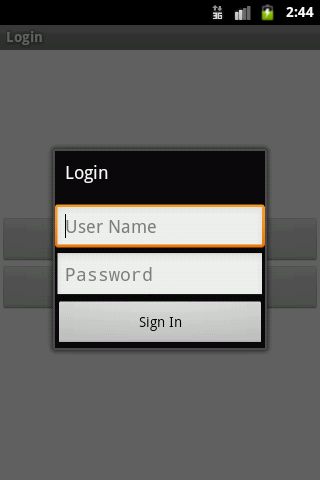 USERNAME : to store the user name. The Code is well commented , just go through , you will understand easily. // of the database on disk needs to be upgraded to the current version. // Log the version upgrade. // The simplest case is to drop the old table and create a new one. // TODO: Create public field for each column in your table. // SQL Statement to create a new database. 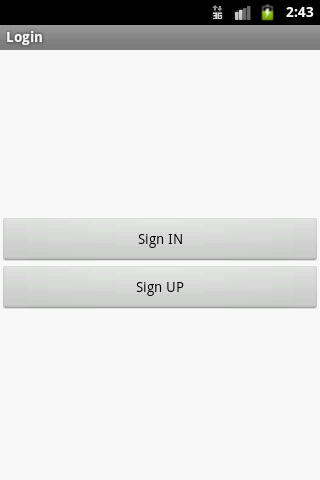 // Context of the application using the database. // Assign values for each column.